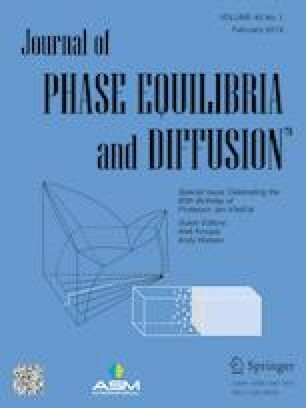 By scanning electron microscopy equipped with energy dispersive spectrometer, x-ray diffraction and differential thermal analysis, the microstructures and the solidification paths of 99 as-cast Al-Co-Ti ternary alloys, the phase constituents and the compositions of 94 annealed alloys were investigated. The liquidus surface projection and the isothermal section at 800 °C of the Al-Co-Ti system were constructed over the entire composition range. Three ternary intermetallic compounds Al2CoTi, AlCo2Ti and Al67Co4Ti29 were confirmed in the as-cast and annealed alloys. In the liquidus surface projection, 20 primary phase regions were included. In the isothermal section at 800 °C, there were 21 stable single-phase regions, 42 two-phase regions and 22 three-phase regions. The compositions of the ternary intermetallic compounds at 800 °C were determined as 21.25-26.79 at.% Co and 26.82-56.04 at.% Al for Al2CoTi, 47.65-54.85 at.% Co and 15.13-34.49 at.% Al for AlCo2Ti, and 6.04 at.% Co and 66.51 at.% Al for Al67Co4Ti29. This work was supported by the National Key R&D Program of China (Grant No. 2017YFB0702901) and National Natural Science Foundation of China (NSFC) (Grant No. 51771021).